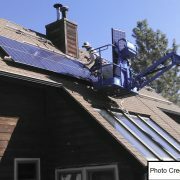 Solar energy works by capturing the sun’s energy and turning it into electricity to your home or business. Our sun is a natural nuclear reactor. It releases tiny packets of energy called photons. 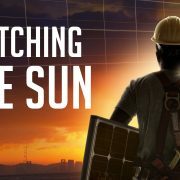 Every hour, enough photons impact our planet to generate enough solar energy to theoretically satisfy global energy needs for an entire year. 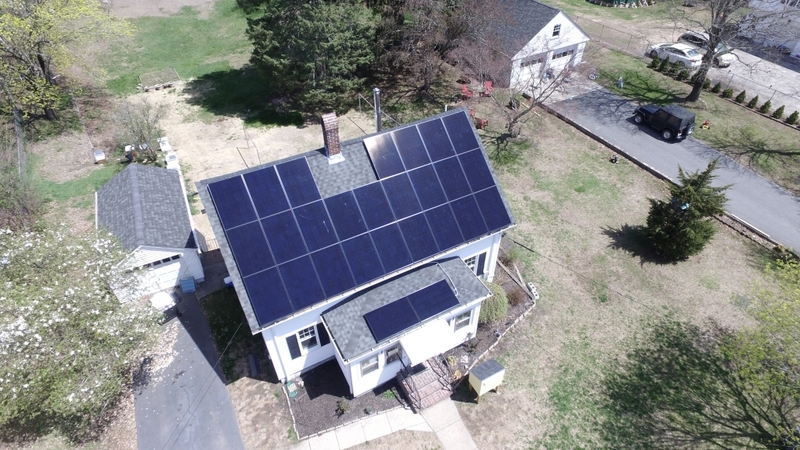 Solar technology is improving and the cost of going solar is affordable, so our ability to harness the sun’s abundance of energy is on the rise especially here in Massachusetts, Rhode Island and Connecticut. 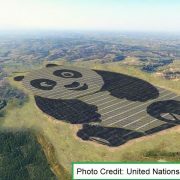 A 2017 report from the International Energy Agency shows that solar has become the world’s fastest-growing source of power – marking the first time that solar energy’s growth has surpassed that of all other fuels. In the coming years, we will all be enjoying the benefits of solar-generated electricity in one way or another. When photons hit a solar cell, they knock electrons loose from their atoms. If conductors are attached to the positive and negative sides of a cell, it forms an electrical circuit. When electrons flow through such a circuit, they generate electricity. Multiple cells make up a solar panel, and multiple panels (modules) can be wired together to form a solar array. 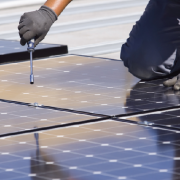 The more panels you can deploy, the more energy you can expect to generate. You’ll hear words like (PV) which stands for Photovoltaic solar panels which are made up of many solar cells. 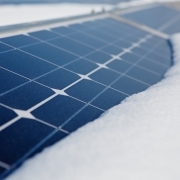 Solar cells are made of silicon, like semiconductors. They are constructed with a positive layer and a negative layer, which together create an electric field, just like in a battery. PV solar panels generate direct current (DC) electricity. With DC electricity, electrons flow in one direction around a circuit. How Does a Solar Panel System Work? Sunlight hits a solar panel on the roof, the panels convert the energy to DC current, which flows to an inverter. 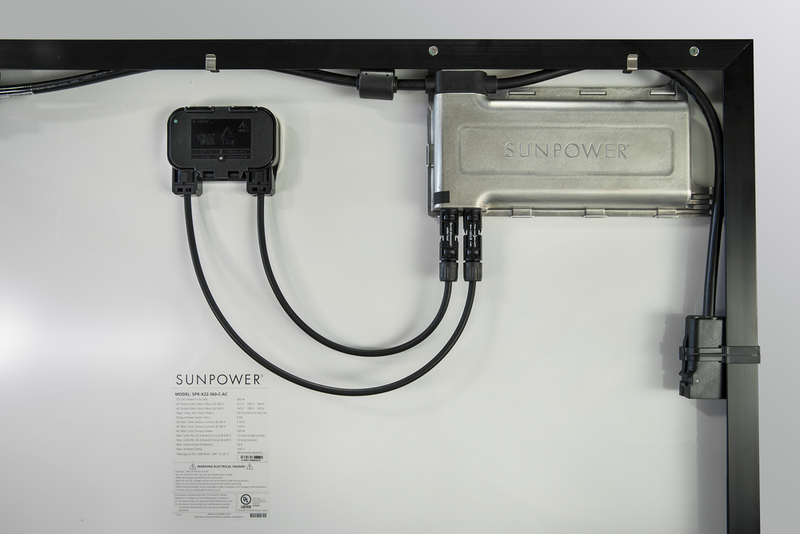 The inverter converts the electricity from DC to AC, which you can then use to power your home. It’s simple and clean, and it’s getting more efficient and affordable all the time. A typical grid-tied PV system, during peak daylight hours, frequently produces more energy than one customer needs, so that excess energy is fed back into the grid for use elsewhere. The customer gets credit/paid for the excess energy produced, and can use that credit to draw from the conventional grid at night or on cloudy days. 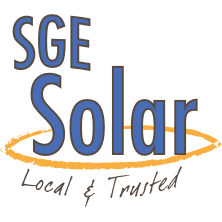 Contact SGE Solar if you have any questions about Solar and how you can benefit on reducing or eliminating your electric bill with the power of the sun!